As any tailoring amateur I have gathered over the years a stock of fabrics, many of them woolen. Unfortunatels some have been discovered by moths - despite pheromone entrapments or smelling repellents . I wonder if some of the professionals around could give me advice on how to mend invisible those little gaps, because in my experience one cannot detect and avoid all of the fabric's weaknesses cutting. 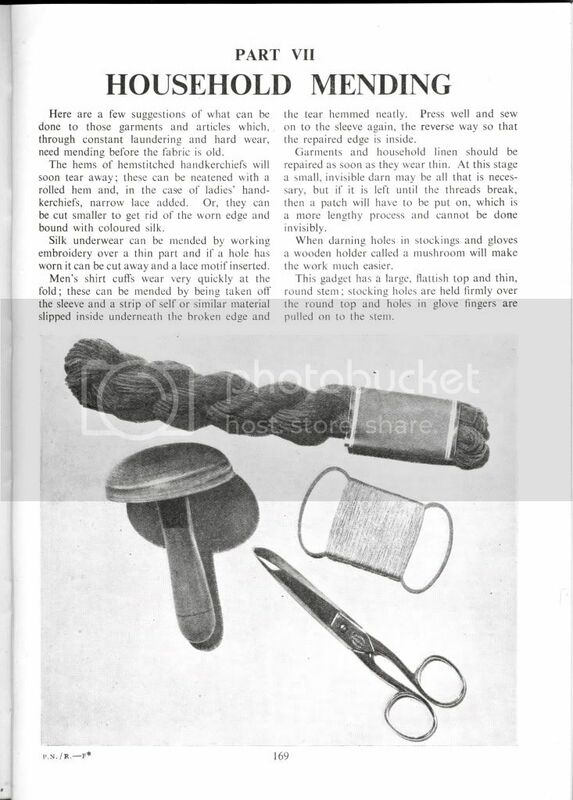 I have a couple of books that show the process but they are actually more ladies dressmaking books (1930-1950's era). Unfortunately they are in a shipping container at the moment but if no-one else has posted in the next 3 weeks, I will scan them. The basic method as I understand it is to remove warp and weft threads from the seam allowances (if it is a garment), enough to cover the hole. Use these to re-weave the area and then trim the excess threads back on finishing. Every thread is individually replaced, time consuming and if done well - invisible. 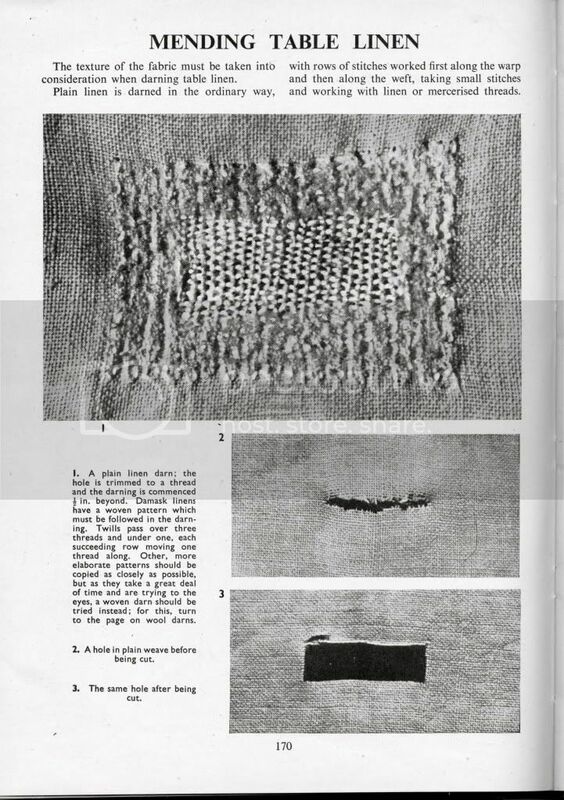 The larger holes would require a cloth section to be re-woven on/in. One hole 30$ by an expert. Buy new fabric. For reference, I believe this is also called "reweaving" in North America. A dying art, when done properly its worth every penny. Sorry, but that was not my question. TT has said all I know about it. It's called "stoppage" in French, and it is a dying art here too. It is a specialised job, I do not think tailors in Paris can do it (though they know the theory, as I do). There are around 10 experts in France left. To do this, you need special needles, very long and thin. As they are not made anymore, you need to find some old ones. I tried once myself to it. It is very hard to do, even on a simple canvas wave. Depending on the cloth, it is more or less difficult. Tweed is easier than close-woven barathea, or even herringbone. I think I've found something usefull: beading needles. They are longer than sewing needles, very thin, and have long eyes so that it is possible to mount threads of a fabric. Should I tell where I found them? It was in a quilt shop (horribile dictu ). Thank you all for the synonyms which were really usefull googling. I assume this technique is the same as that which is termed 'fine drawing'. This was used for creating invisible seams as well as for mending. No. Fine drawing is darning. 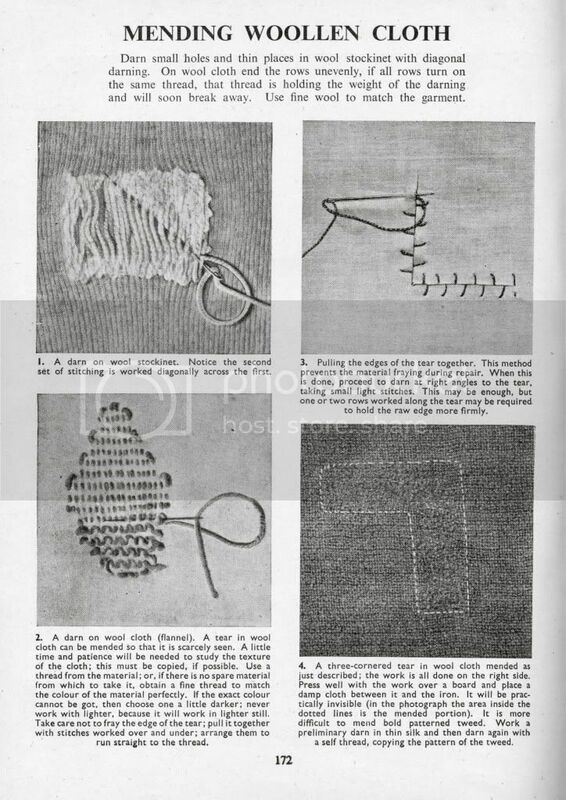 It sure can be use for mending thick cloth quite invisibly,and it's can be useful to know it, but it's not what I was refering to (actually, I'm not sure about the 'invisible mending' eboli asked about). "Stopage" is actually a recreation of the fabric, as you wave it with needles, using the actual warp and weft of the cloth. 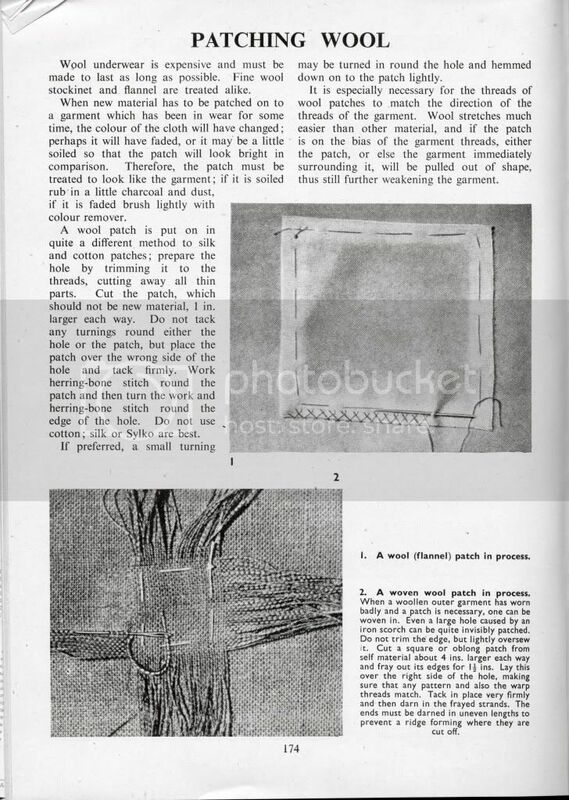 It can be used on cuts (I've done it once), but also on hole, so that's why I think this is more what eboli was asking, since he wants to mend moth holes. You are right nishijin, invisible repair is made by recreating the same weave in the fabric with threads from the same fabric. It is a dying skill and I doubt there are many people left who can do it as it should be done. I remember a lady doing it many years ago, but she had to give it up when her eyesight failed. 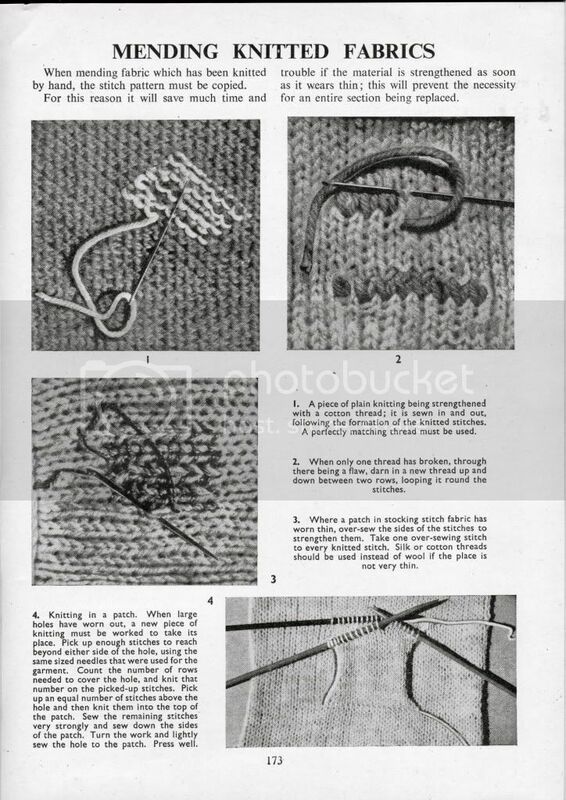 We had a German lady living in Goshen that was taught reweaving by nuns during WWII. She worked for me in the 80's, but has died many years ago. Her eyesight failed as well. I have heard that there is an Asian woman in the town nearby doing it, but I have not met her or seen her work yet. 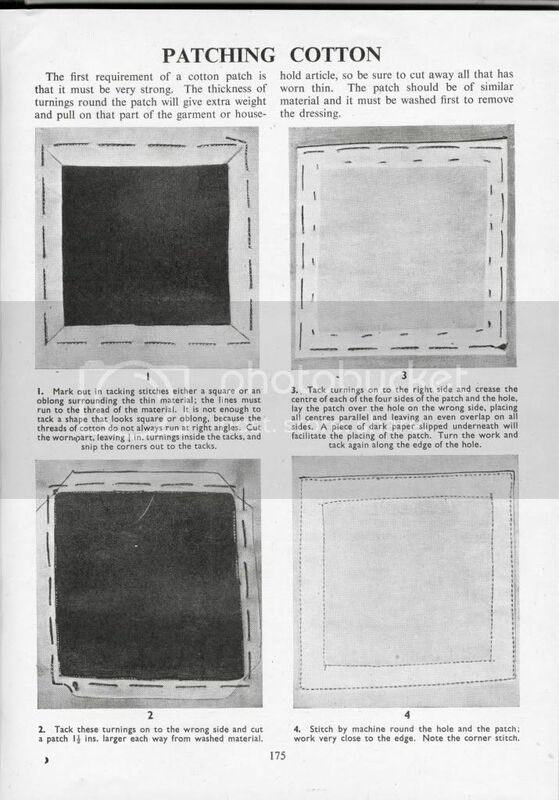 Seriously, if Theatrical Tailor (or anyone) has illustrated pages to scan explaining the process, it would be a great resource for everyone to include in their libraries (before any printed explanation is gone as well). 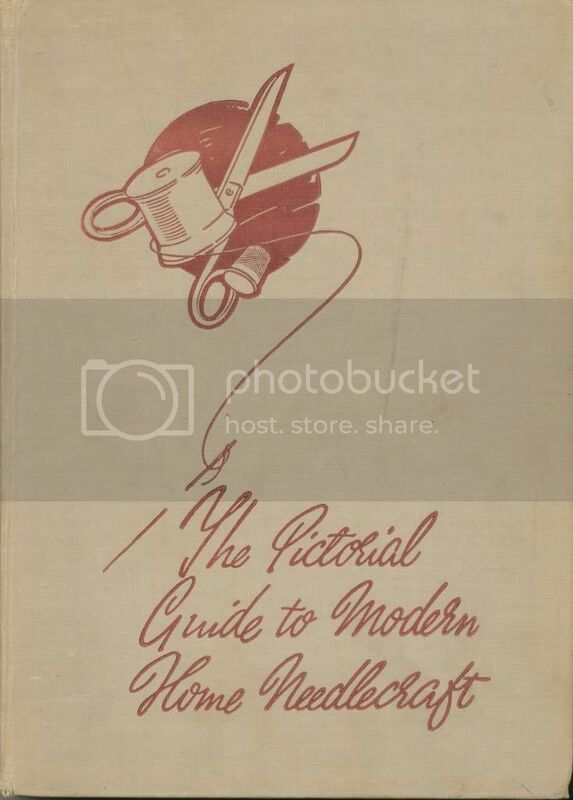 Anyway, this comes from The Pictiorial Guide to Modern Home Needlecraft, published by Odhams Press Limited and reprinted in 1946. I thought I had another book but I returned many to my mother when I left the country so it may have been in one of those. Don't tell anyone, this is one of hers I took when I returned the others though! It is actually a really good book, not so much for tailoring, although there is a section on it. But for all those "long lost" techniques of make do and mend that are dying out in our throw away society. I have included the whole chapter as you never know when other mending techniques could come in handy. I apologise for the time it took me to find and scan this. Believe me, I have been punished, it's taken nearly 4 hours this morning to figure out what I am doing with this new (stupid) mac and (stupid) photobucket and originals uploading instead of the edited scans. Having a head explosion now... 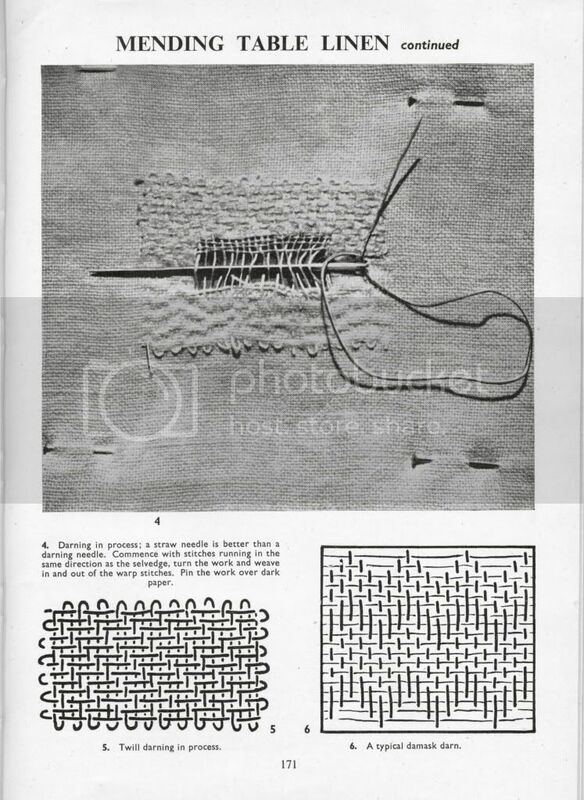 Anyway, this comes from The Pictiorial Guide to Modern Home Needlecraft, published by Odhams Press Limited and reprinted in 1946.